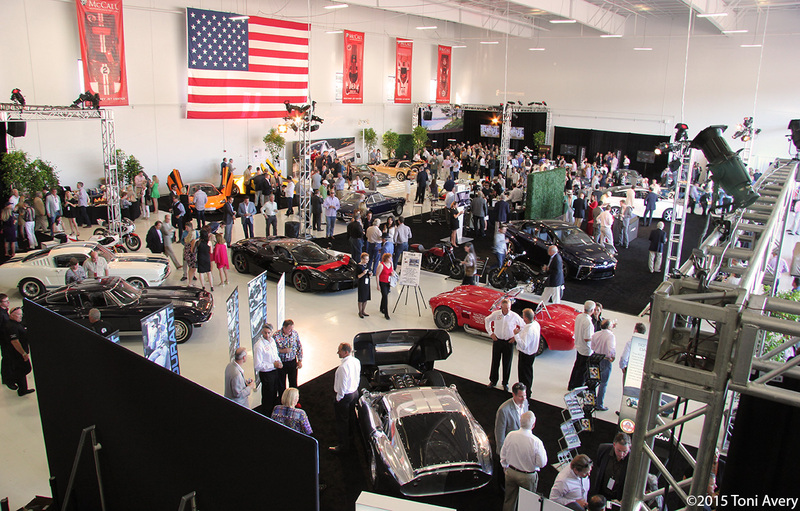 Known as the official kickoff party for the Monterey Car Week, Gordon McCall’s Motorworks Revival is just about the swankiest event of the week. 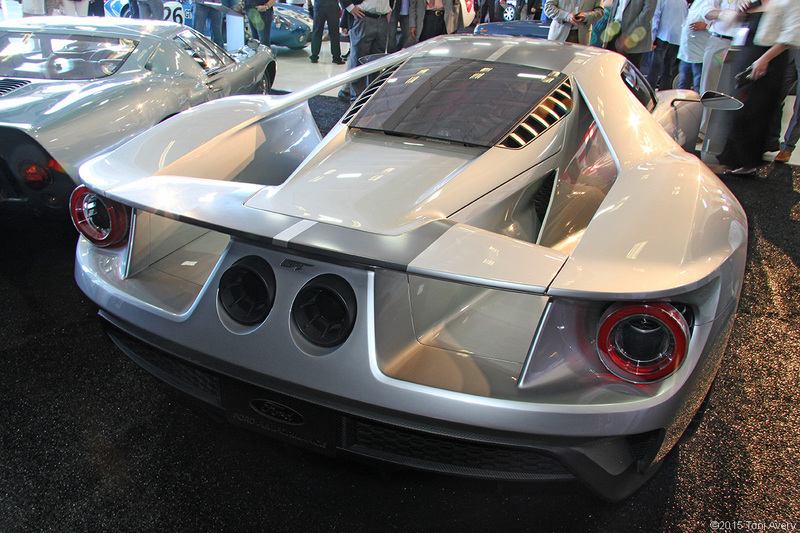 Attendees pay exorbitant prices just to socialize and be amongst new and old exotic cars and jets/airplanes. Each year high-end exotic manufacturers bring cars to display in various airplane hangers as well as jets to display and even sell outside. 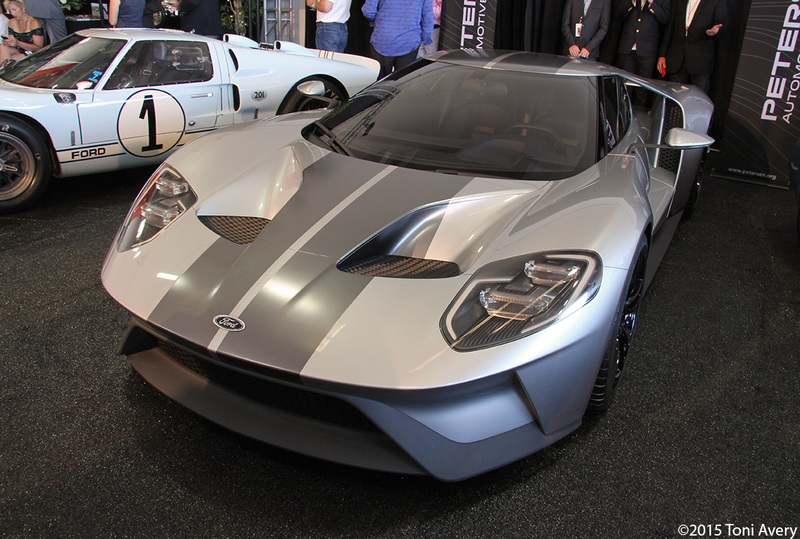 This year Ford brought its latest Supercar for display, the Ford GT. Below are a few shots of the car. Having seen images online before the party I wasn’t overly impressed with the design but this is one of those cars that needs to be seen in the metal in order to really appreciate its beauty. Often times, just like at many other events, McCall’s attracts a wide variety of automotive celebrities. This year I reconnected with two industry celebs that I’d met at previous events: Chad McQueen (son of Steve McQueen) and Justin Bell (son of Derek Bell) racing driver and TV personality. My second year in attendance, 2015 felt very different from 2013. There were more manufacturer cars, less food and more people. I’ve heard that at least one jet is sold each year at the party and with the society of people attending that doesn’t surprise me. With the amount of Super Cars in demand and I suppose jets too, I wonder how next year could possibly top the Pagani’s, Alfa’s, Maserati’s and Singer Porsche’s of 2015.